"Serial Numbers for Beginners!" and other tips for product searches/questions. I thought perhaps a brief introduction to the manner in which Washburn serial numbers and model numbers can be decoded might help some new members figure this out for themselves, so I "borrowed" this next little bit of information (that is a nice way of saying I "stole it") from a recent post by one of our most helpful members, Evenkeel. For instruments produced after 2010, usually the first 4 digits can indicate the year of manufacture." This should be enough to provide a good start. As for value...well, as another of our erstwhile members says, it's worth as much as you can get someone to pay on the day you sell it. However, for those who would like to know a ball-park figure, there is an item known as a "Blue Book" which lists prices when new and also prices for used equipment depending on condition. A lot of the industry shops that handle used gear (trade-ins on new stuff, that sort of thing) use this book to give them some vague idea of a value range. For that information, unless you have a subscription to the online "Blue Book" (or a "Blue Book" of your own), your best bet is to post a question in the appropriate forum...electric, acoustic, bluegrass...etc. Furthermore, a suggestion that you use the search function...the link is on the grey bar at the top of the page, between "Help" and "Profile". Click on "Search" and you'll get an empty "field"...when I do a search I start with the word "Washburn" (after all, if you're here you're hoping to find out something about your Washburn instrument), followed by a model number. Once you have that information in the search field, click on search and you may be surprised just how many posts and threads there are in the forum. The WD stands for "Washburn Dreadnought" (other models dispensed with the "W" and the model numbers just started with the "D")...the dreadnought design was brought about by the advent of orchestras, where most of the instruments would drown out the volume produced by the then popular "parlor" guitars. The dreadnought was a large design guitar with squared off shoulders on the "upper bout"...its size gave it greater volume. The "32" is the model number...generally, the higher the number, the better quality the guitar. For example, Washburn use to have a custom shop from which you could order very high quality handmade acoustic guitars...numbers like D62SW, D64SW, D70SW, D72SW...etc. Generally, as you went up on the number designation the price of the guitar increased, based on certain factors like tonewoods, build difficulty, etc. The "S" designation indicates that the guitar had a solid wood soundboard, which is much more desirable than a "laminate" soundboard for various reasons related to tonal improvement that occurs as the wood ages. So...my WD32S was a mid-level dreadnought with a solid wood soundboard. The backs and sides were laminated products...believe me, if they are Solid Wood it is a big enough deal that Washburn wants you to know about it, so a guitar with "SW" following the model number is usually (almost always) made of all solid-woods. All solid wood guitars are sort of the top-of-the-heap regarding quality, but they do have some issues that cause them to require more care than the models with just solid soundboards or all laminate construction. One other common "suffix" to the model designation is "CE", which stands for "Cutaway Electric". Most "juiced" guitars (guitars with onboard electronics for plugging into amplifiers and PA systems) seem to come with a cutaway on the lower upper bout so that the player can reach the highest pitched notes more easily. These cutaways can have very sharp designs (like the Festival Series of guitars) or softer cutaway designs, without sharp points like the Festival series...but they all have both the cutaway as well as electronics. My WGOSCE, for example, is a Grand Orchestra model with a solid wood soundboard and a cutaway with electronic pickup. So, since the "C" was already in use to designate a "cutaway" bodied guitar, Washburn just chose to use "K" to mean it came with a case. There are other "abbreviations", some of which designate "paint' color (B could equal blue or black, R could equal red, that sort of thing), and others of which designate a specific type of wood used in the construction (such as "SP", which is the suffix used for "Spalted Maple", a very attractive wood which achieves its stunning appearance due to the effects of an organism that causes damage to the wood). This is one of the few times that the "S" after the model number (as in D46SP) does NOT mean "solid wood soundboard"...the damage the fungus causes to the wood results in a diminished strength to the wood, so all "SP" products are laminated, as the fungus-damaged wood would not be strong enough for a solid wood Spalted Maple soundboard to endure the stresses put on it by the string tension. As with any industry that has been around for so long as lutherie, there are a LOT more "alpha/numeric" designations, but for the most part these are enough tips to get you started decoding your serial number information or model designation information. There will always be additional unusual alpha/numeric designations...different body styles, etc., and most of them are pretty easy to figure out...my WMJ21S model guitars are "Washburn Mini-Jumbo" models with solid wood cedar soundboards, for example, "SJ" stands for "Southern Jumbo", a dreadnought size guitar with rounded shoulders on the upper bout and a slightly larger lower bout than a dreadnought...there are obviously more than I can really remember, so as new ones crop up I'll come back and edit this thread so that the new information can be found here, too. We hope you'll join in on our discussions...after all, by far the vast majority of us contributing members are here because we really love our Washburns...and we hope you'll join us! Cheers, and happy hunting for the information you seek!!!! Re: "Serial Numbers for Beginners!" and other tips for product searches/questions. Totally awesome, dude. Thanks for pulling this stuff together!! anyone who wants "to find out about my Washburn" ought to do some of the legwork. I apologize for sometimes getting terse about this, but I also charge $40 & more to do this for people for insurance & estate purposes, so expecting me to do it for free is like demanding that I send you forty bucks. If it's an easy one, or an interesting puzzle, or I feel that many others here will benefit from it, then I might take it up. You can check the 1989-2000 price lists at the Community section (http://www.washburn.com/community/) & some catalogs (http://www.washburn.com/media/catalogs/), or contact Customer Support (http://www.washburn.com/info/contact/). if you plug washburn guitars into your favourite search-engine, the second hit will probably be for the Wikipedia article: https://en.wikipedia.org/wiki/Washburn_Guitars. I pulled together all sorts of scattered bits -- not least from the wonderful people who've been on these Forums over the years -- & am quite proud of it though it's still evolving. This now contains a whole BUNCH of actual corporate history, as well as some details about the suffix letters, & tabular data on the various models (which you can list by name or date or prefix or whatever). speaking of history: there is no connection whatever between modern Washburn & pre-1940s Washburn. The present-day company didn't inherit any paperwork AT ALL. (Matter of fact, there was at least one big fire more than a century ago that pretty much wiped out the files to that point.) If you want to know more, you MUST bring the actual instrument to an actual expert who will likely charge you actual money. You can do some of the work by shelling out at least $50 for a book, Washburn Prewar Instrument Styles by Hubert Pleijsier. ...but I can save you some effort: your "vintage" Washburn is probably NOT worth as much as you believe. Most of those old guitars, in Excellent condition, are pretty common in the <$500 range -- hey, there were literally millions of 'em. The exceptions have much inlay, which some call "presentation" models, meant moreto be given as a gift or memento than for performance. If you put $500 into restoring an old Washburn, you'll probably have a pretty good $500 guitar. the K in the suffix stands for "kit". This could mean anything from a cheap vinyl gigbag up to a very nice fitted case. This might also point up a "beginner" guitar that arrived with the usual confetti -- dozen picks, spare string set, stand, "How To Play Guitar" DVD, etc. this can be significant because the Blue Book (more about that in a moment) clearly says a guitar that was sold with a case needs to have that same case or its equivalent, or the market value goes down. Since we're talking Washburn here, this generally isn't a major downer for value, unlike (say) a '50s Strat... but if you're thinking about buying a Washburn, make sure you get ALL the stuff, or at least pay a few bucks less. There's one minor dealer that has been known to sell a new "K" guitar without its case (no discount, of course), then put the case out as a separate $100 item!! the best ready source of info is Fjestad's Blue Book, http://bluebookofguitarvalues.com/ -- while you have to buy the book/CD or pay online to see the current valuations (in USD), post-1978 Washburn is one of their best-researched brands. There is a LOT of data there. I'd say it's about 95% complete, & 98% accurate. the Beckmens owned the Washburn brand 1974-1977. These have the "W" prefix, & were buit in Japan by Yamaki. These were mostly meant to be good cheap guitars, but the well-decorated W-500 & W-600 were built for less than a year, & have a following. 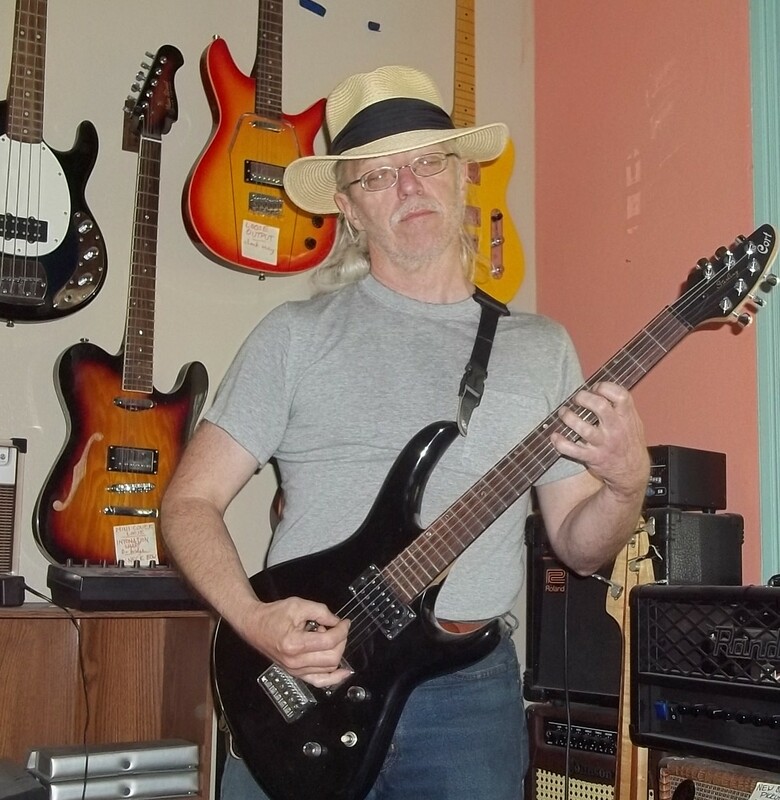 the modern Washburn was owned by Rudy Schlacher 1977-2009. Many successful models were ended in 2010; some of what remained were sourced to cheaper factories &/or had features reduced (like Grover tuners or select-grade woods). Jim Smith Sr. is (was?) a legendary Washburn collector, with "over 500" guitars stashed in two warehouses, so I take him at his word. Among other things, he says the better acoustics 1974 to about 1982 were built by Sadao & Hiroshi Yairi. Smith rates most import Washburn acoustics 1974-1996 as "of very good to excellent quality". Smith also says that "probably 60%" of Washburn models had a single production run of 200 units, & were never reordered if sales were slow. So, there's some quality Washies out there that are MUCH rarer than most "limited edition"models. mostly, we have no idea about build numbers. You'll have to contact Customer Service, who don't show up here as much as they used to. serial numbers are only mostly reliable for determining manufacture date -- check Blue Book & apply common sense. If a model was sold 1992-2001, & the s/n begins "89-" then it's more likely a 1998 than some super-rare 1989.
as detailed elsewhere, a four-digit s/n IS NOT reliable for magical date-coding. If the first digit is year, that leaves only three numbers, meaning only 1,000 guitars could be built that year; steal the first TWO for date, & there'd only be numbers for 100. Same thing goes for stealing two digits for month & four for placement: asimple task with an eight-digit s/n, but unlikely with shorter numbers. mostly, we have no idea where most models were built. Sometimes we get lucky & the s/n has a factory-code prefix or an old press release says where it was built or someone's got one with the "made in" paper tag still attached. Thanks for joining in, Tony...I had hoped you would! I am hoping that this thread may be "pinned" (sometimes called a "sticky") so that it will be easy to find and future requests can be answered by just posting the URL for this thread, which most newbs and single post information seekers would never know exists. I'm sure that there will always be that unusual request (the Stephens Extended Cutaway neck design comes to mind), but the more we return to edit and expand the posts in this thread the more people can find the information they seek. The new Wikipedia page is really stunning, and the improvement too dramatic to detail. You may rightfully feel proud, IMHO.